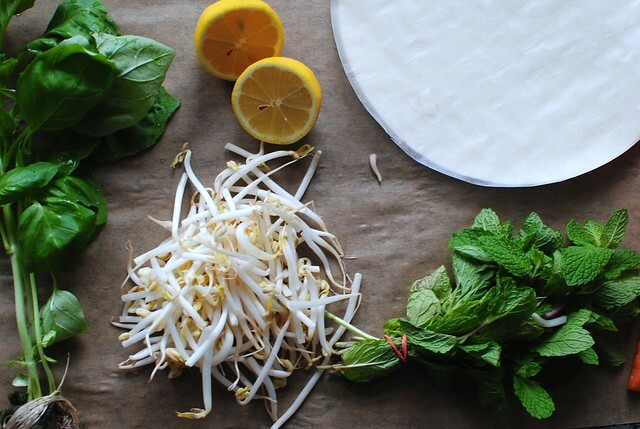 mint + basil vegetable spring rolls. Although I'm in the kitchen constantly, I rarely venture far from my comfort zone. Even when I try new recipes, they usually contain ingredients I'm familiar with and already have in my pantry. 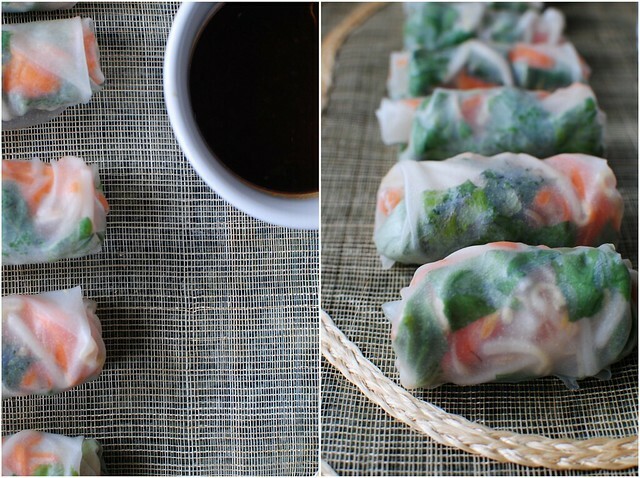 Soak the rice paper in luke warm water for 30 seconds or until soft enough to work with. 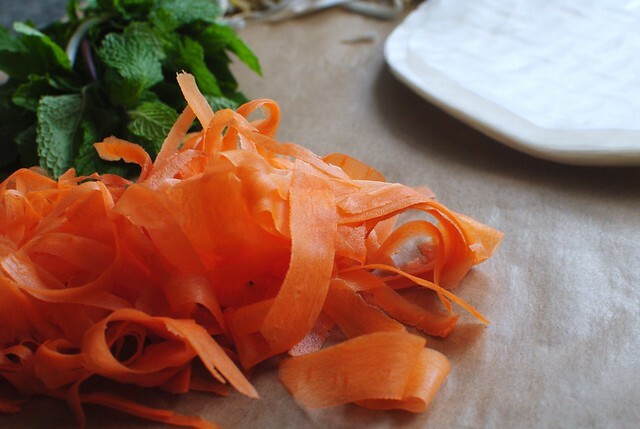 On a paper towel or parchment paper, place basil leaves, mint leaves, bean sprouts, and shaved carrots in the middle of the rice paper. 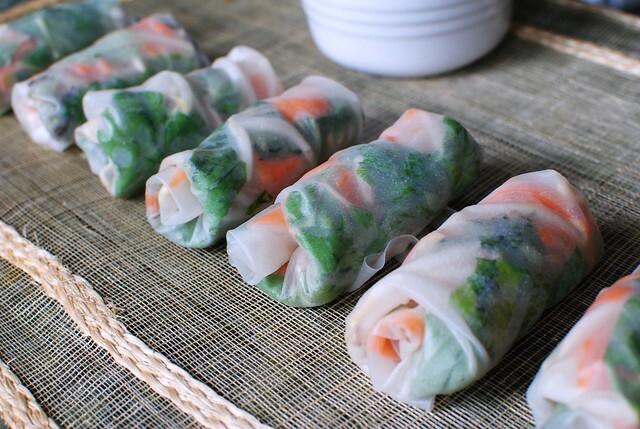 Gently roll it up (like you would a burrito). 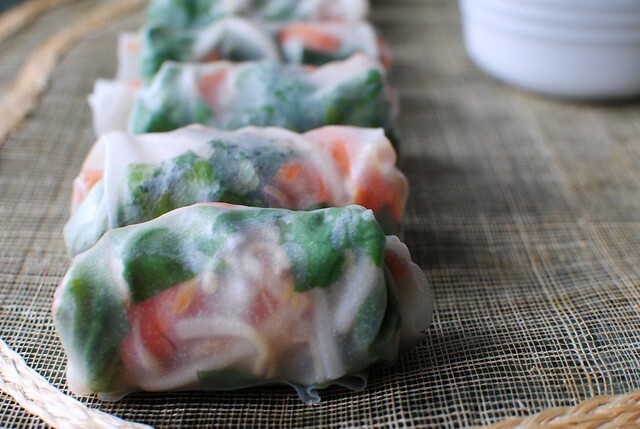 The rice paper isn't as temperamental as it seems, so if you mess it up just unroll and start over. I ended up just figuring out the sauce as I went, not measuring anything. 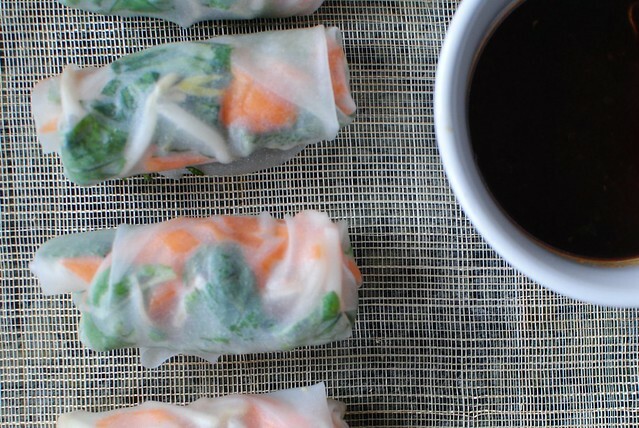 Start out with red chili paste, then add soy sauce, hoisin sauce and honey until it is the perfect amount of sweet and spicy flavors. Then add citrus juice and zest, which makes the sauce.